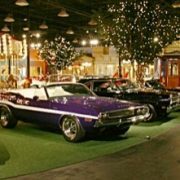 Dodge Challenger is the name of three different automobile models marketed by the Dodge division of the Chrysler Corporation since the 1970s. 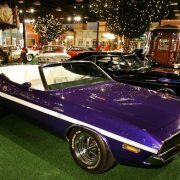 The first Challenger was the division’s late entrant to the pony car market segment in the United States, launched for the 1970 model year. 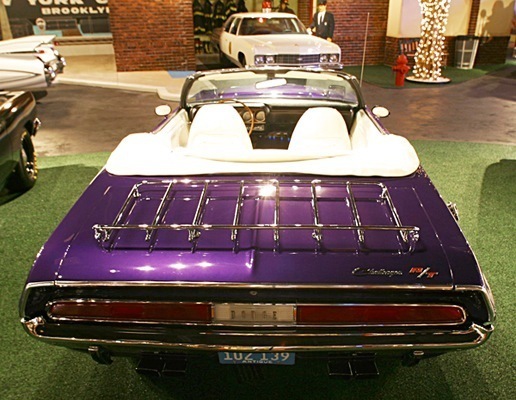 Intended as a competitor to the Mercury Cougar, it was based on the similar Plymouth Barracuda’s new E-body. 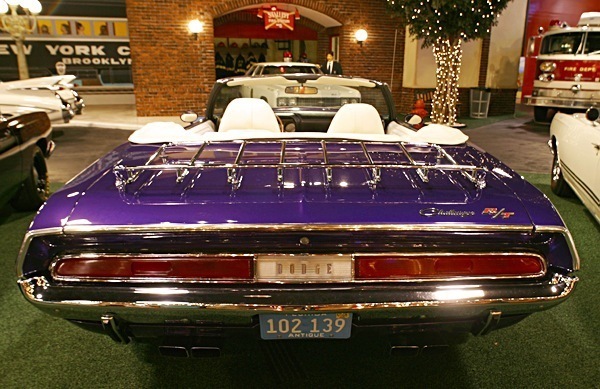 The wheelbase, at 110 inches (2,794 mm), was two inches longer and it had substantially different outer sheetmetal than its Plymouth cousin, much in the same way that the Cougar was related to the Ford Mustang. 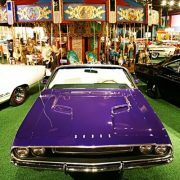 Exterior design was done by Carl Cameron, who also did the exterior for the 1966 Dodge Charger. 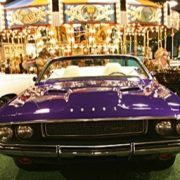 For the 1970 Challenger grille, Cameron based it off an older sketch of his 1966 Charger prototype that was to have a turbine engine. 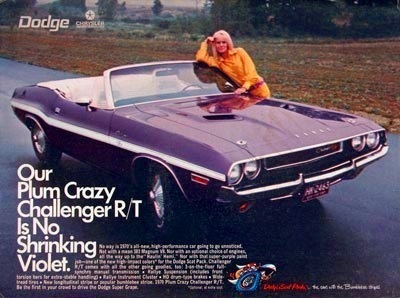 The Charger never got the turbine, but the Challenger got that car’s grille. 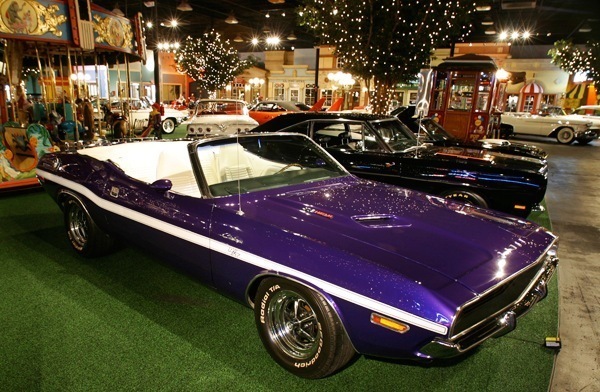 Four models were offered: Challenger Six, Challenger V8, T/A Challenger, and Challenger R/T. 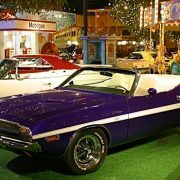 Challengers could either be hardtops, coupes, or convertibles (through 1971 only). The standard engine on the base model was the 225 cu in (3.7 L) six-cylinder. Standard engine on the V8 was the 230 horsepower (170 kW) 318 cu in (5.2 L) V8 with a 2-barrel carburetor. Optional engines were the 340 cu in (5.6 L) and 383 cu in (6.3 L) V8s, all with a standard 3-speed manual transmission, except for the 290 horsepower (220 kW) 383 cubic in. engine, which was available only with the TorqueFlite automatic transmission. 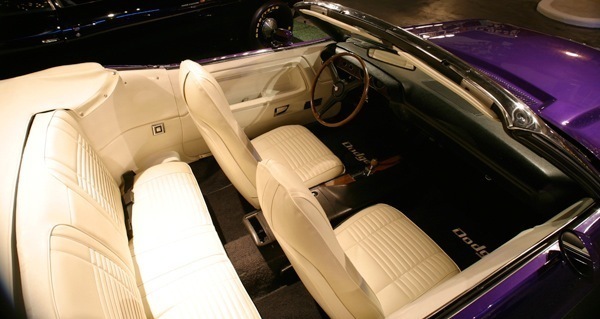 The 4-speed manual was optional on all engines except the 225 cubic in. I6 and the 383 cubic in. V8.The performance model was the R/T (Road/Track), with a 383 cubic in. Magnum V8, rated at 335 horsepower (250 kW). Standard transmission was a 3-speed manual. Optional R/T engines were the 375 horsepower (280 kW) 440 cubic in Magnum, the 390 horsepower (290 kW) 440 cu in (7.2 L) Six-Pack and the 425 horsepower (317 kW) 426 cu in (7 L) Hemi. 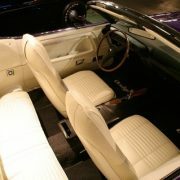 The R/T was available in all three body styles; both standard and R/T hardtops could be ordered as the more luxurious SE specification, which included leather seats, a vinyl roof, a smaller ‘formal’ rear window, and an overhead interior console that contained three warning lights (door ajar, low fuel and seatbelts). 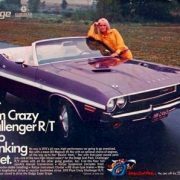 The Challenger R/T came with a Rallye instrument cluster which included a 150 mph (240 km/h) speedometer, an 8000 rpm tachometer, and an oil pressure gauge. 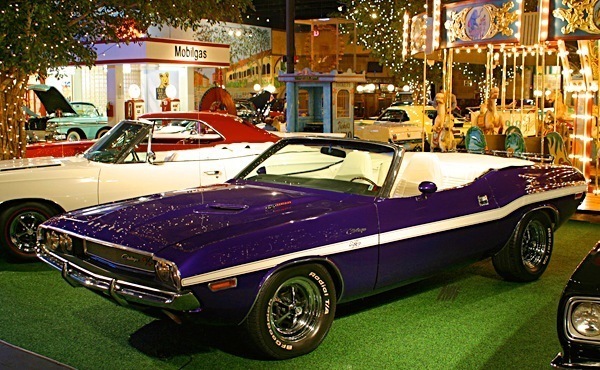 The convertible Challenger was available with any engine, as well as in the R/T and SE trim levels. 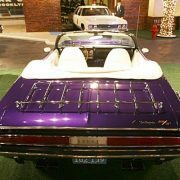 In 1972, Dodge dropped the R/T badging and now called it the “Rallye”, although it was never badged as such. 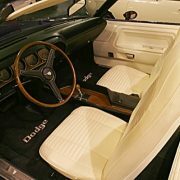 Other options, as well as engines and a manual transmission, included steeper rear axle ratios, a limited-slip differential, and a shaker hood scoop were gone for 1972. 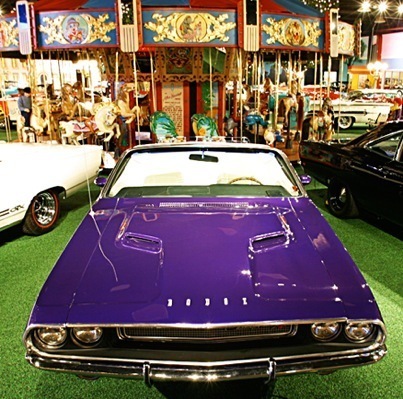 Original “numbers matching” high-performance 1970-71 Challengers are now among the most sought-after collector cars. 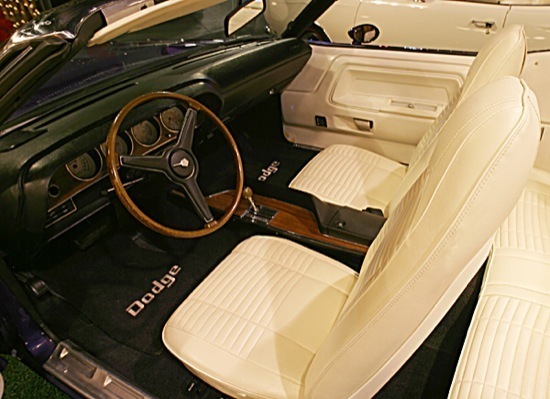 The 1970 and 1971 models tend to generate more attention as performance and style options were still available to the public. 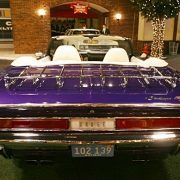 Dodge Challengers were mainly produced for the US and Canadian markets. Interestingly, Chrysler officially sold Challengers to Switzerland through AMAG Automobil- und Motoren AG in Schinznach-Bad, near Zurich. 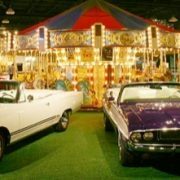 Only a very few cars were shipped overseas each year to AMAG. They did the final assembly of the Challengers and converted them to Swiss specs. There are few AMAG cars still in existence. 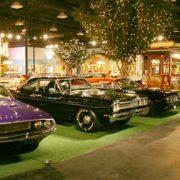 From a collector’s point of view, these cars are very desirable. Today, less than five Swiss Challengers are known to exist in North America.